Chester Visual Arts are proud to present the Woman’s Hour Craft Prize, marking the launch of a new year-long exhibition programme at The Old Library in Chester. This exhibition follows the hugely successful V&A Pop Art in Print exhibition and Liz West’s Our Colour Reflection at Chester Cathedral, further cementing the organisation’s ambition to bring great art to Chester. 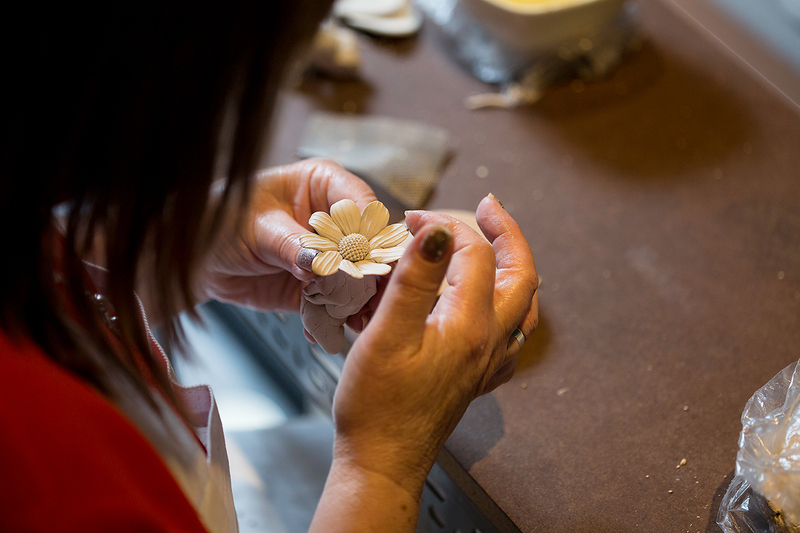 Showcasing the most innovative and exciting craft practice in the UK today, this V&A exhibition at the Old Library marks the 70th anniversary of BBC Woman’s Hour. Traditional materials and historic skills meet new techniques in an exhibition that combines beauty and precise detail with challenging ideas. British Artist Liz West will cast a spectrum of colour across Chester Cathedral next month, as ‘Our Colour Reflection’ opens on Thursday 1 February 2018. Our Colour Reflection will be presented by Chester Cathedral and Chester Visual Arts, and follows the award-winning ARK modern and contemporary sculpture exhibition. 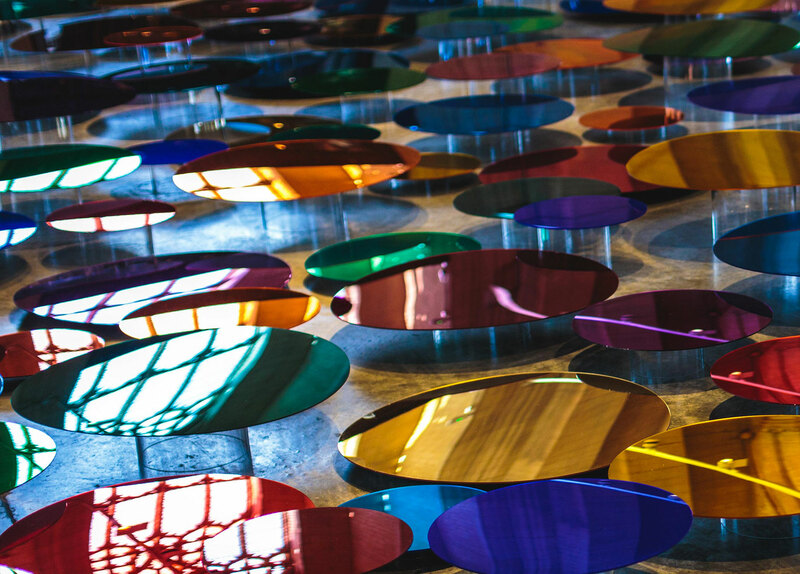 The installation, which will be located in the Chapter House of the cathedral, creates a conversation between the viewer and the setting using hundreds of mirrors made of coloured acrylic. 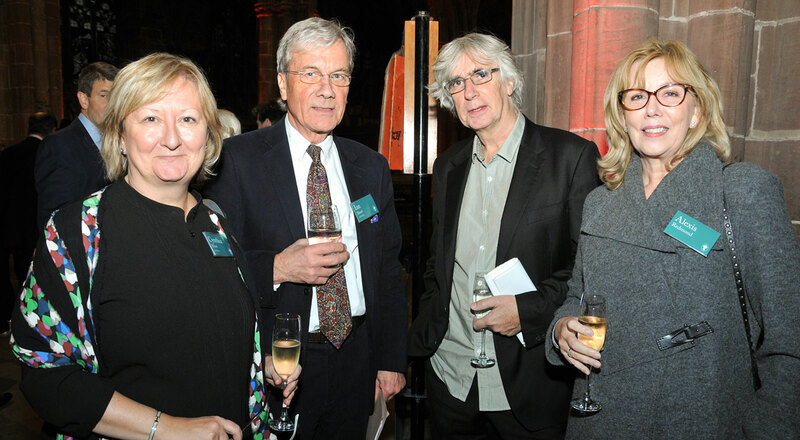 Chester Visual Arts, the independent, company aiming to put the City on the national and international stage for the visual arts, and Grosvenor Estate hosted a Reception at Chester Cathedral last week to celebrate the Ark Sculpture and the Victoria & Albert Museum Pop Art in Print Exhibitions, in the City. The Reception for over 200 guests was attended by the Trustees of the Grosvenor Estate, including the Duke of Westminster, and key people representing the arts and culture in Chester, local and national government, alongside the region’s business leaders, to celebrate the City as a cultural destination and these hugely popular exhibitions. 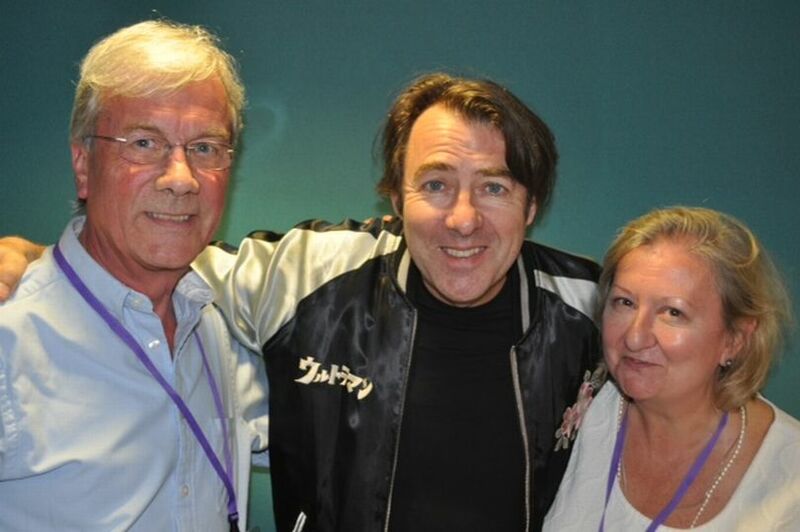 After an invitation onto his BBC Radio 2 Art Show on Thursday, Chester Visual Arts founders, Ian & Cynthia Short, secured the support of Wossy, Jonathan Ross, for the V&A Pop Art in Print exhibition, now running at the former Chester Library and their ambitions for a permanent contemporary art gallery in the City. During a lengthy and typically unpredictable interview, Wossy, a Pop Art fan, expressed amazement that there is no public contemporary art gallery in a City of Chester’s size and stature, and was impressed at how, without public funding, Chester Visual Arts had been established and has managed to secure this iconic 70 piece V&A exhibition of Pop graphics. 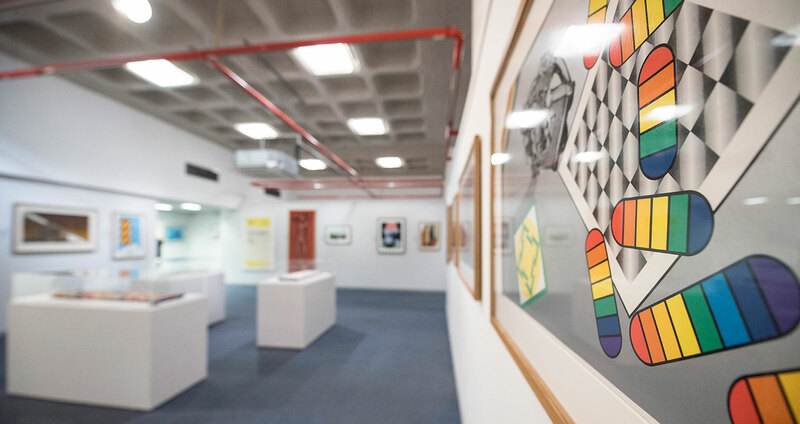 One of the pre-eminent national collections of Pop Art prints, primarily from the 1960s, will go on show at Chester’s former Library Building from 28th July – 22nd October, featuring some of the most famous works from the genre. The Victoria & Albert Museum’s ‘Pop Art in Print' exhibition, presented by Chester Visual Arts and curated by the V & A, brings together, for the first time, an international collection of Pop graphics featuring artists Andy Warhol, Patrick Caulfield, Richard Hamilton, Allen Jones, Roy Lichtenstein and Ed Ruscha. The exhibition is free to enter.